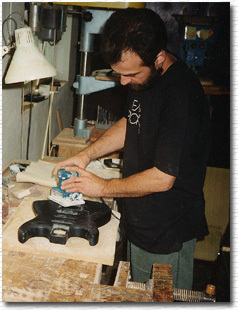 Witkowski Custom Guitars is also render services in connexion with exploitation and repairing the electric and acoustic guitars. 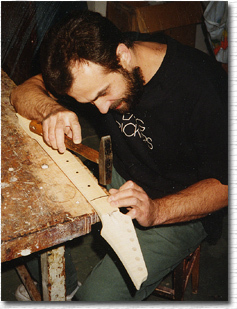 In most of cases there are variety regulations, tuning, frets dressing and changing, electrical and mechanical systems repairing. 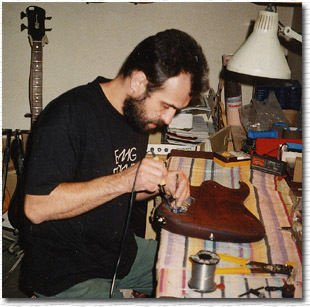 Considering frequency of occurrence, repairing the broken necks and heads of guitars has became the speciality of our firm. We also make variety modernizations, reshapings, accessories exchanging, f.ex. 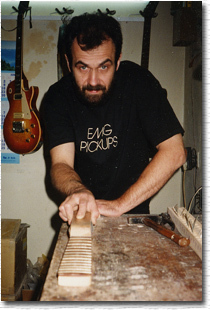 pickups, bridges, tuners... etc. Everytime we give you the complete information about optimal way of repair.